Acts 2:42 – And they devoted themselves to the apostles’ teaching and the fellowship, to the breaking of bread and to prayers. Philemon 1:6 – And I pray that the fellowship of your faith may become effective through the knowledge of every good thing which is in you for Christ’s sake. *Childcare is provided* Families who attend are encouraged to bring $5 to help pay the babysitters. Email jbarrere@lifebiblechurch.com if you have any questions or concerns. 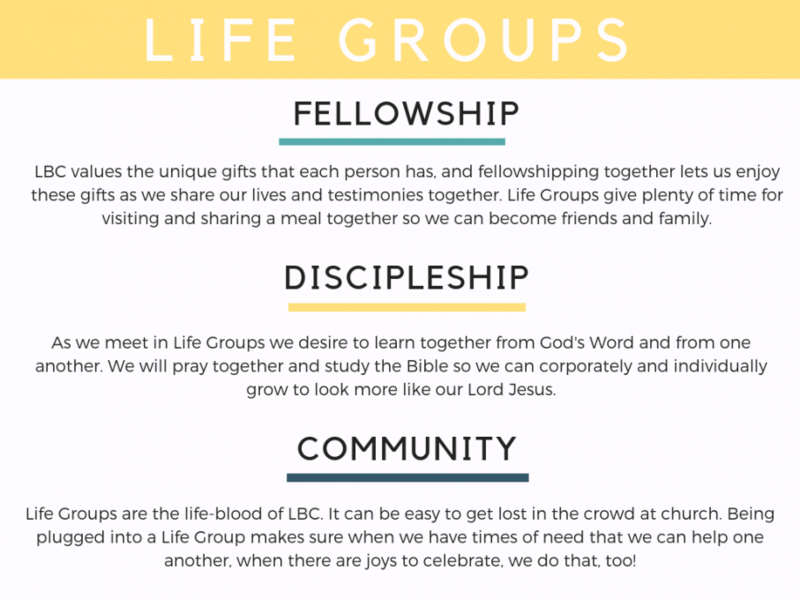 See the Church Calendar for the Life Groups meeting schedule.